Today, a delegation of the U.S. Army War College composed of 23 members of different countries led by Colonel Michael P. Zick visited the Permanent Mission of Bangladesh to the United Nations. The U.S. Army War College has been visiting Bangladesh Mission every year in the recent times to learn about our experiences in the field of peace operation. 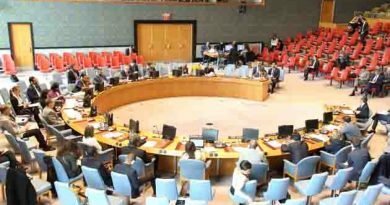 This partnership comes as recognition of Bangladesh’s remarkable contribution to peace operations as well as the reputation and professionalism of Bangladeshi peacekeepers. 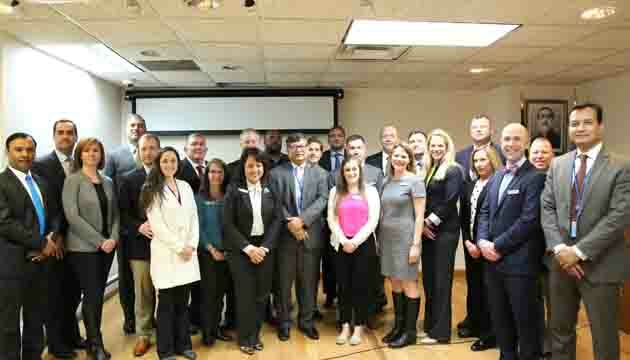 A senior officer of Bangladesh Army studying in the war college was a part of this delegation. In his welcome address Permanent Representative of Bangladesh to the UN Ambassador Masud Bin Momen focused on Bangladesh’s enormous contribution to UN peacekeeping operations as one of the top troops and police contributing country over the years and Bangladesh’s engagements in maintaining international peace & security, sustaining peace and peacebuilding discourses at the UN. 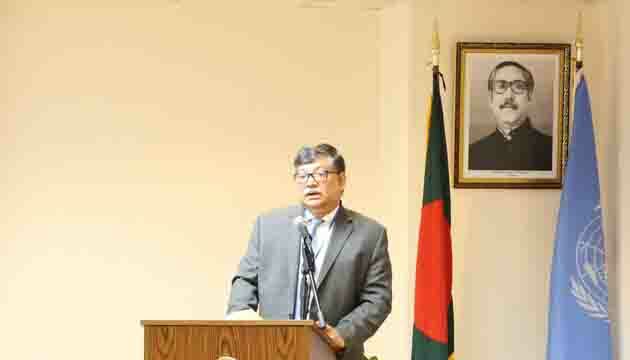 Ambassador Masud reiterated Bangladesh’s zero tolerance policy in Sexual Abuse and Exploitation in peacekeeping operations. He highlighted the tremendous socio-economic developments of Bangladesh. Mentioning Bangladesh’s fulfillment of the graduation criteria from LDC, the PR said, “From the war-ravaged country to today’s graduation, the journey has been possible due to the visionary leadership of Prime Minister Sheikh Hasina”. 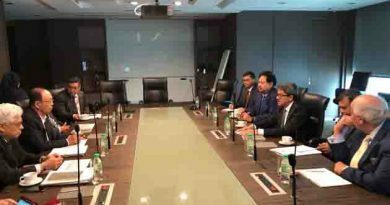 The Permanent Representative shared that Bangladesh has set a goal to become a middle-income country by 2021 and a developed and industrialized country by 2041. He also recognized that the multidimensional cooperation between the militaries of Bangladesh and the United States is increasing day by day. Defense Adviser of Bangladesh Permanent Mission Brigadier General Khan Firoz Ahmed briefed the delegation about Bangladesh’s engagement in the UN peacekeeping operations and the dedicated role of Bangladeshi peacekeepers. He said “Bangladesh was always at the forefront in the United Nations peacekeeping Operations. So far, 1,63,181 Bangladeshi peacekeepers participated in 54 UN peacekeeping missions, of whom 1,616 are female. Currently, there are 7091 Bangladeshi peacekeepers deployed in 10 several missions. As many as 146 peacekeepers lost their lives on duty while 227 have been injured”. He also portrayed Bangladesh’s success stories in bringing peace at various war ravaged parts of the world during the past 30 years. A video was also displayed before the delegations on the indomitable success of Bangladesh. The delegation was also briefed by the Deputy Permanent Representative of the Mission Tareq Md Ariful Islam on Bangladesh’s overall engagement at the UN, the challenges UN was facing on various global issues and how Bangladesh was contributing to the work of UN in overcoming theses challenges. The US Army War College delegation applauded the Bangladesh Mission for the useful exchange and the excellent arrangement and warm hospitality. The Permanent Representative thanked the U.S. Army War College delegations for choosing the Bangladesh Mission for their visit. 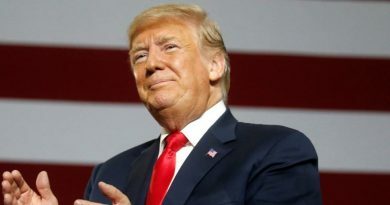 The Trump administration will likely deport an assassin who was convicted in 1998 for murdering Bangladesh President Sheikh Mujibur Rahman and nearly his entire family. 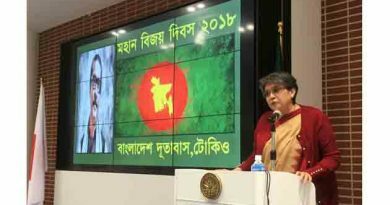 Bangladesh Embassy in Japan observes the 48th glorious Victory Day .